Welcome to the next Cupcake Inspirations Challenge #367! 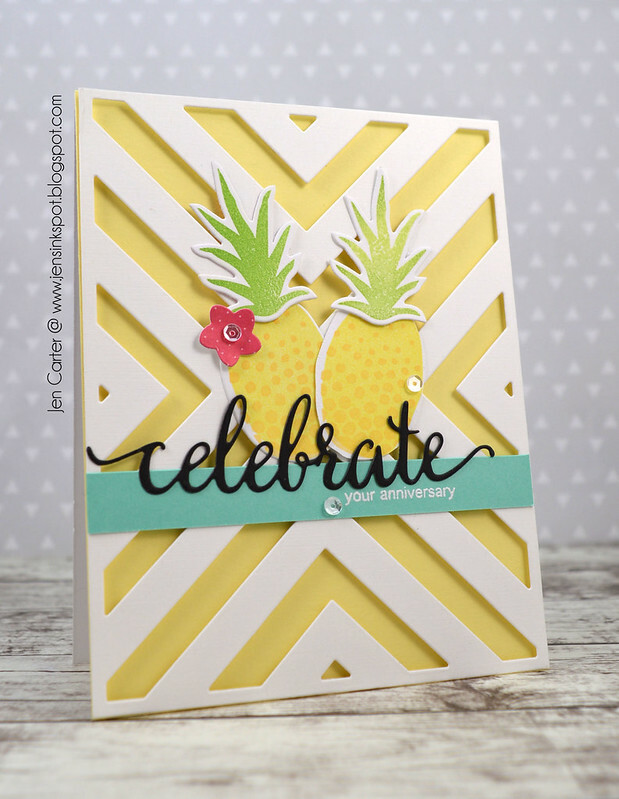 This week the challenge is to use a tropical theme on your card! 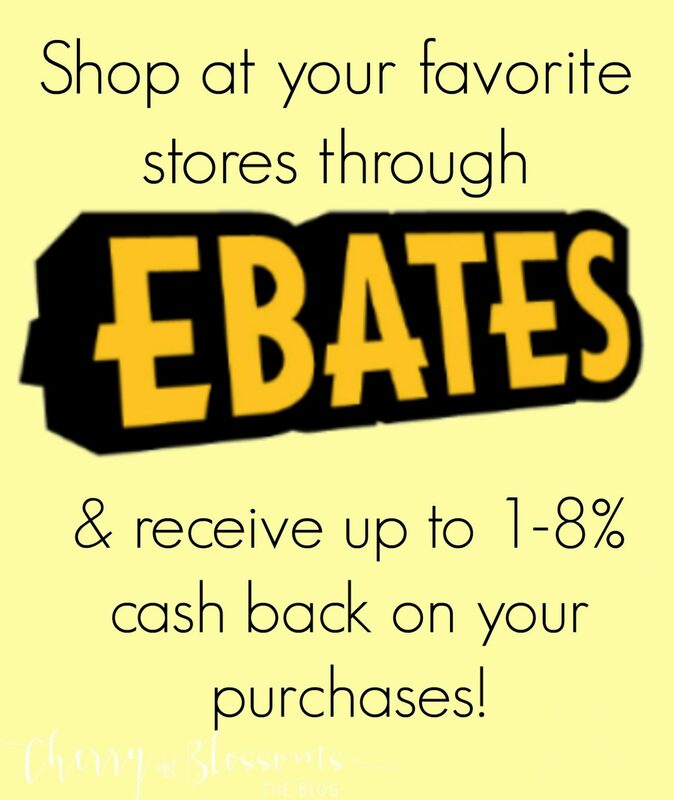 Our sponsor this week and the prize is from Your Next Stamp. I hope you'll be able to play along! I was inspired again by the cupcake image. 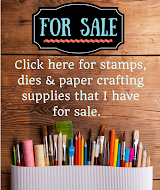 I started my card by die cutting the mat with a Center Point Chevron die (LOVE this die!!). I stamped my pineapples from Concord & 9th, they matched the theme perfectly! Now that sentiment...that lovely black "celebrate" is die cut is from Your Next Stamps called Fancy Celebrate die. And the sentiment underneath is from a great mix & match stamp set, also from Your Next Stamp, called Whatnot Sentiments Set Four. 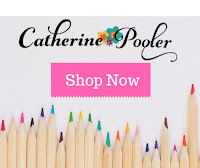 There are beautiful fonts and lots of options for sentiments! Here is the challenge photo to provide inspiration for this challenge. 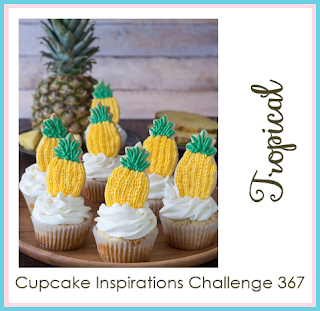 I hope you'll join us this week at Cupcake Inspirations Challenge #367! You totally rocked this challenge with this card! I love it!! 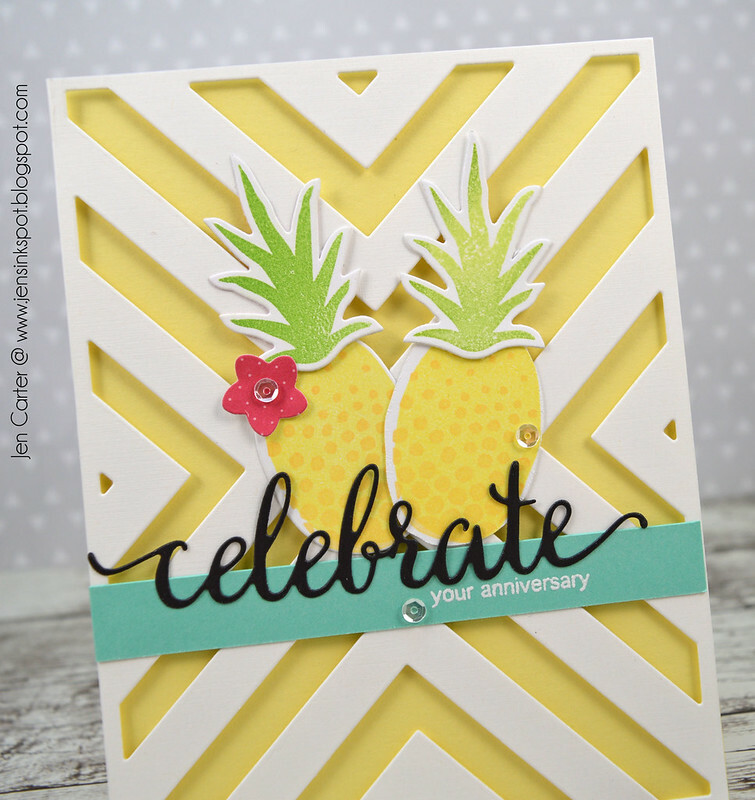 The die cut chevron background is fabulous and really draws your eyes in to those sweet pineapples. So fun!! Crushing all over your pair of pineapples, set atop the fabulous chevron background! A charming anniversary card in every way!! WOW that is one fabulous card! From the background to the cute pineapple images. Love it Jen. I am so loving this card. It is just a happy card on so many levels. Beautiful work this week. GORGEOUS! I love that scripty celebrate! 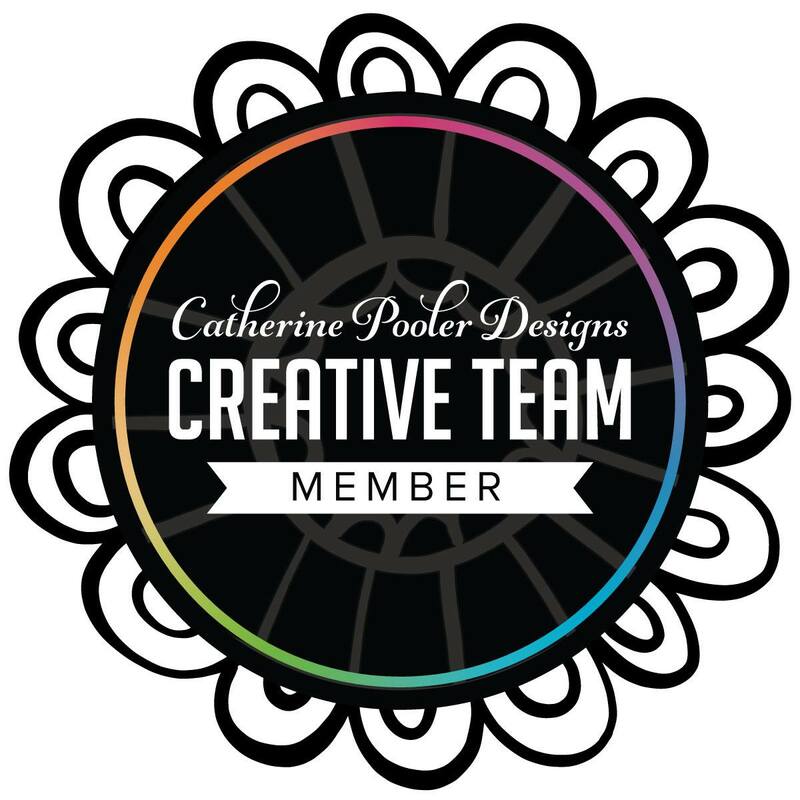 Your card fits the inspiration perfectly!